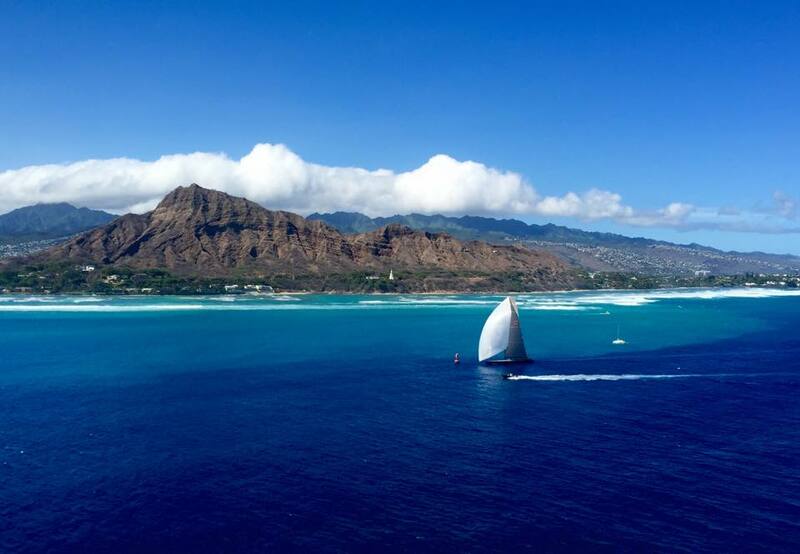 Rio Racing USA have realised their ultimate goal of winning the Barn Door Trophy in the 2015 Transpac Race when Bakewell-White designed supermaxi Rio 100 crossed the finish line off Diamond Harbour, Hawaii on the evening of Saturday 25 July. After an elapsed time of seven days, five hours, 34 minutes and seven seconds Rio 100, sailed by owner Manouch Moshayedi and a total crew of 19, sailed down the Molokai Channel in glamour running conditions. “The Barn Door Trophy was a primary reason for Manouch to purchase and refit this yacht. To be in contention for this famous trophy the yacht must be fully manually operated and conventionally ballasted,” explains Brett Bakewell-White. Rio 100 will return to her home port of Newport Beach, California.